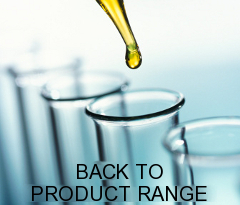 Esterol 222 is a nonionic surfactant derived from natural oils of the fatty acid glycol type. A good general purpose emulsifier it is readily biodegradable and has low toxicity characteristics. CHARACTERISTICS: ESTEROL 222 is a viscous yellow liquid with a mild fatty odour. ESTEROL 222TM is a nonionic surfactant of the fatty acid ethoxylate type. These surfactants are good general purpose emulsifiers for vegetable oils and their derivatives as well as mineral oils. It has an HLB of approximately 8, is anhydrous, soluble in most oils, and is less hazardous both environmentally and for human contact than most other nonionic surfactant types. Excellent emulsifying capability that can be used in both oil-in-water and water-in-oil systems.